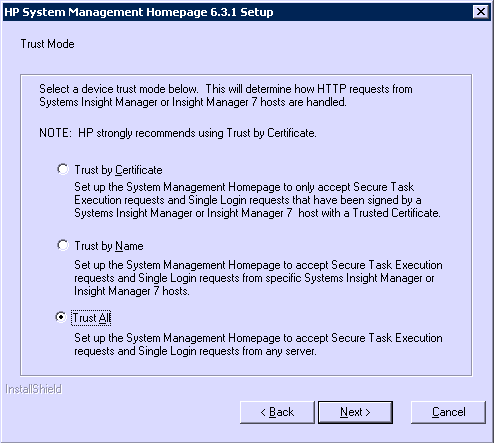 This used to quite common when attempting to contact the HP Management Homepage, (or the local insight manager page) you can no longer get access. With much older versions of the Systems Management Homepage (before it used domain user names and passwords) you could simply copy over the CPQHMMD.DLL file from a server you knew the password for, and then you could get in. Then restart the Server (or the HP Services if that’s easier) and you could log in. 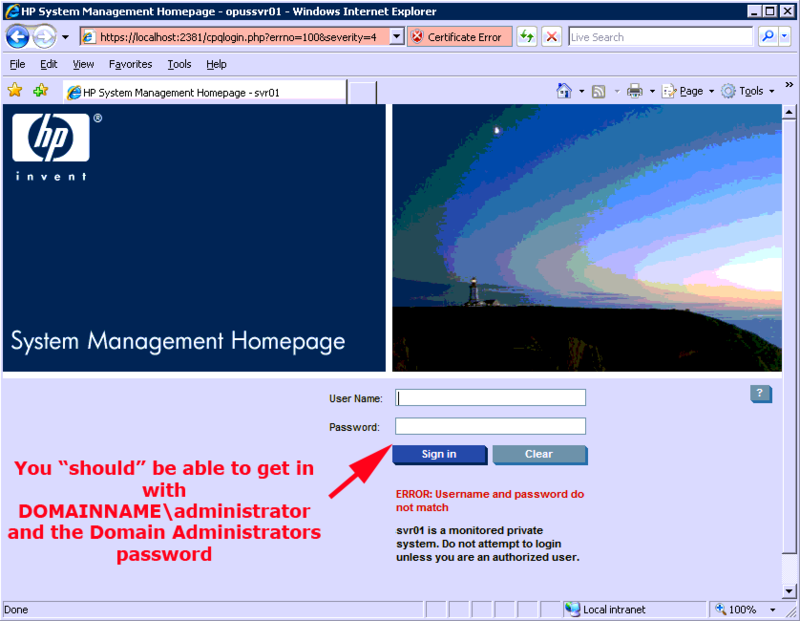 With newer versions of the HP Management Homepage those files no longer exist! 1. 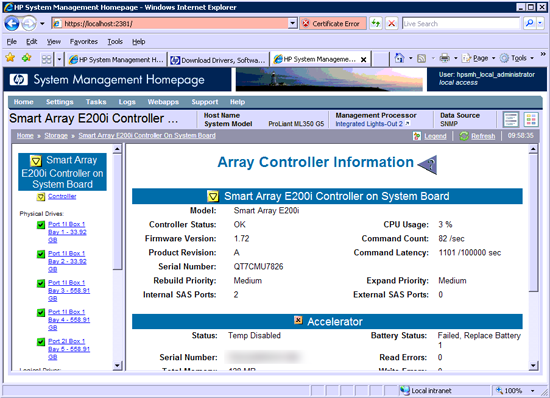 Head over to www.hp.com and do a drivers/software search for the model of your server, select the operating system you are using and look in the "Software – System Management" section. 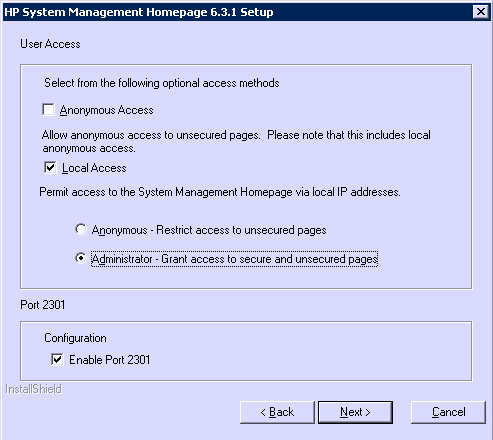 Locate, download, and install the HP Management homepage software. Note: Don’t panic this will not need a reboot. 2. 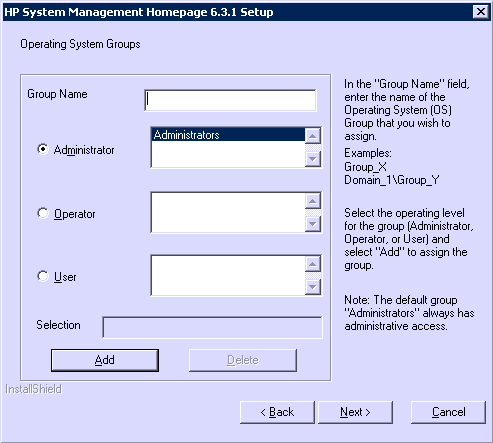 It says Administrators always gets access but I still add it in anyway (Note: If this is a domain controller, the local Administrators group is the domain admins group anyway). 4. I’m leaving mine open from any server. 5. Now we are in! (hooray!) and I’ve got a broken BBWC (boo! ).